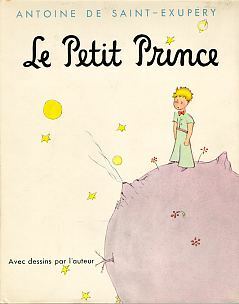 The Little Prince lived on a tiny planet that had three volcanoes, two active and one dormant. He spent a great deal of time pulling up baobob trees that would destroy his tiny asteroid if they were not removed. 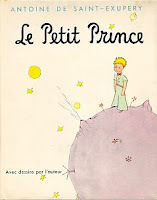 One of the Little Prince's few pleasures was watching the sun go down. When he wanted to see the day end, all he needed to do was pick up his chair and move it backwards a few steps. 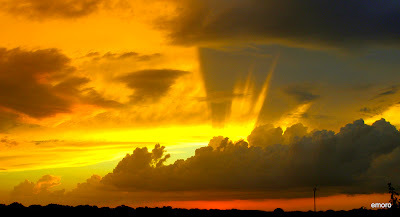 One day he saw forty-four sunsets. “But we must wait,” I said. Atardecer Edvard Grieg is a beautiful 5-minute film of not 44, but over 200 sunsets. When you look at Emiliano Moro's images of dusk and twilight, look not with your eyes, but with your heart. And you don't even have to move your chair.